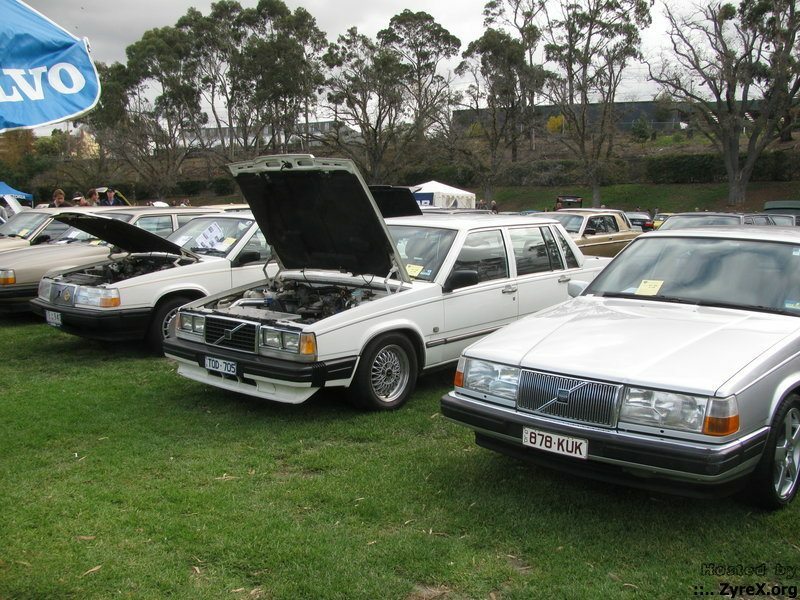 A brief history of 760 Turbo's in Australia: The 760T was the first turbocharged Volvo offered by Australian Volvo dealers, starting with the '84 model year. The 760T was almost identical to the V6 760GLE in terms of appearance and features, but used a redblock four cylinder turbo engine instead of the V6. It was sold as a 760 rather than as a 740, despite the four cylinder engine, as they wanted to separate it from the soon to be released 740 range, which wasn't offered with as many features. 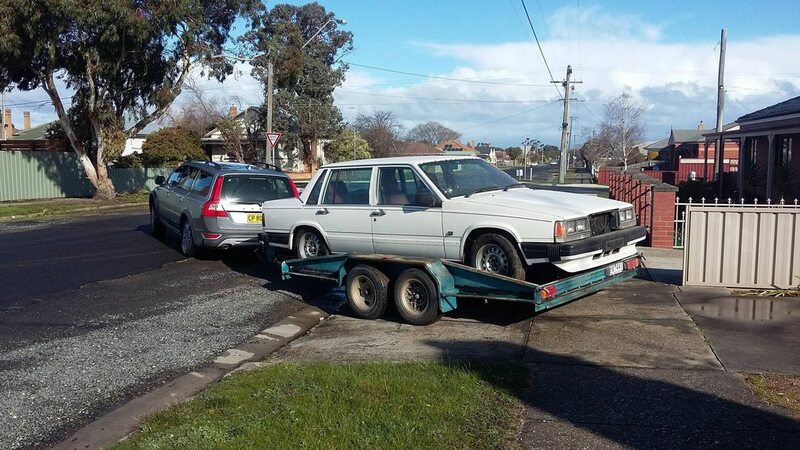 Drivelines: The '84 760T's used a B23ET engine and an M46 manual box. They soon found that most people who could afford these cars couldn't be bothered changing gears, so the '85 models were all auto, using the ZF 4HP22, behind a B230ET. The B23ET used a 405 head, and a B cam (from memory), with a block mounted distributor. 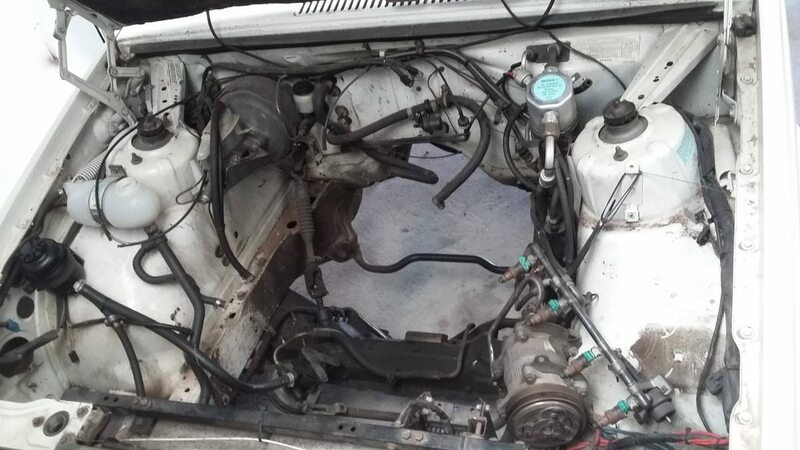 The B230ET used a 531 head and an A cam, and at a claimed 182HP, was the most powerful redblock engine offered in Australia, except possibly B230FT's with the Turbo+ kit fitted. Both engines used a Garrett T3 turbo. '84 and '85 models both used Bosch Motronic 1.1 engine management, which was a variation of Bosch L-Jet that combined fuel and ignition into one ECU. Major differences between it and the later LH-Jet that a lot of people will be familiar with, is that it's main inputs were two sensors on the flywheel, for position and RPM, and a flap type airflow meter rather than a hot wire AMM. It was also designed for use with leaded petrol, and therefore the cars had no O2 sensor or cat. converter. '85 models had a module under the bonnet containing the transistors for the coil and injector switching, rather than having these components located in the main ECU. The module had quite a large PCB in it, which had most of the spots for components unpopulated. This was to allow for an early traction control system, fitted in conjunction with ABS, to limit power by blocking some of the transistors from grounding the injectors, causing a misfire. This system did make it into production, but was never offered here, and was only seen very rarely in Europe. The cars didn't sell in high numbers, my '85 model had a pricetag of $43,600 when new, when Melbourne's median house price was $75,000. You could literally buy a three bedroom house in Ballarat or outer Melbourne suburbs for the same money at the time. The model was discontinued in Australia after '85, replaced by the newly released 740 Turbo, which had a B230FT, less chrome, more black trim, and a more sporty, less luxury appearance. Cosmetic: US front lights, changed the tan interior to maroon, chopped springs, 740T grille insert, clear side indicators, Simmons V5 wheels, then later on silver painted 940 steelies with early 240 centre caps. Driveline: Ported head, V cam, milled and ported 90+ exhaust manifold, 60/63 trim T3, 3" V band wastegate housing, manual boost controller, 3" exhaust with Magnaflow mufflers, custom airbox, 600x300mm intercooler, chipped ECU, Toyota W55 conversion, 4.10 940 diff (original diff was a 3.91). 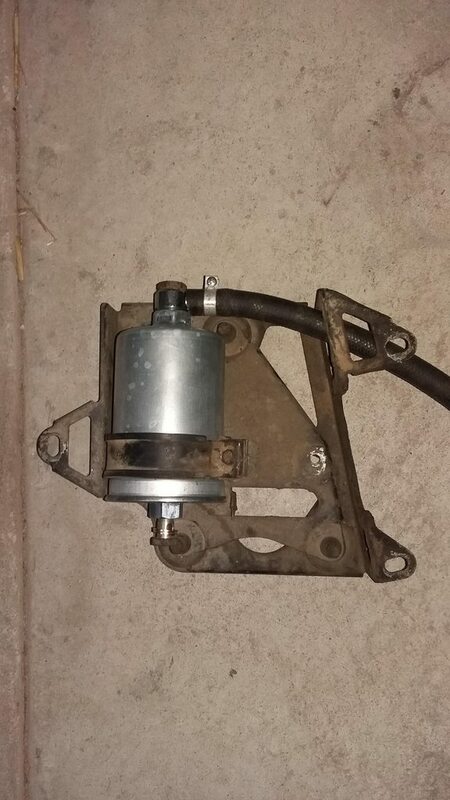 Undercar: '90 front struts with 940 style Girling calipers and rotors, poly front end bushes, 24mm front swaybar from a late 760GLE. The car was a lot of fun, but some areas left something to be desired. The car once made 163kw on a dyno with 12psi boost, but the fuel system couldn't keep up with the amount of air going through it, and it ran lean and pinged like crazy under boost, regardless of what fuel I ran it on. So I just ran it on 95 octane fuel and turned the boost down a bit, and never kept it in boost for more than a couple of seconds. The cut springs were also pretty harsh on rough roads. 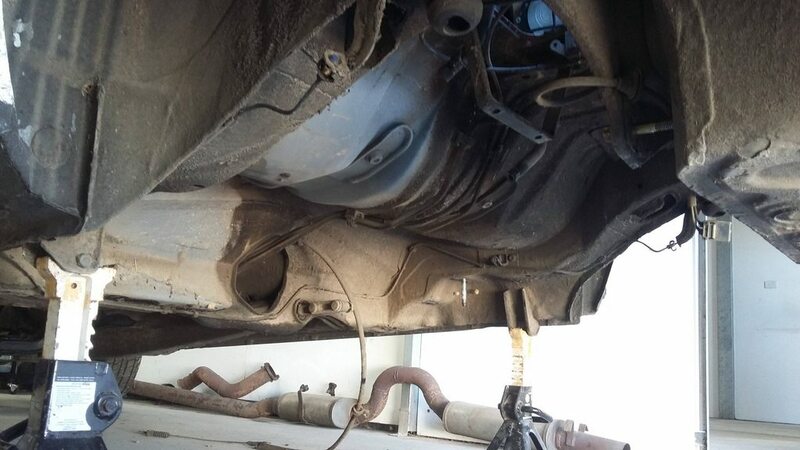 Eventually in 2014 with just under 500k on the clock, it started using a lot of coolant, which turned out to be going straight into the exhaust through cracks between the water jackets and the exhaust ports. The car had a lot of problems with stray current corrosion eating through water pumps and radiators, and I think the head corroded through from the water jacket side, aided by there being less metal there due to porting. I pulled the engine out the following year and cancelled the rego, and life got in the way. That brings me to now, and I've started tinkering with it again. After flipping a coin, I decided to start at the back, and work forwards. 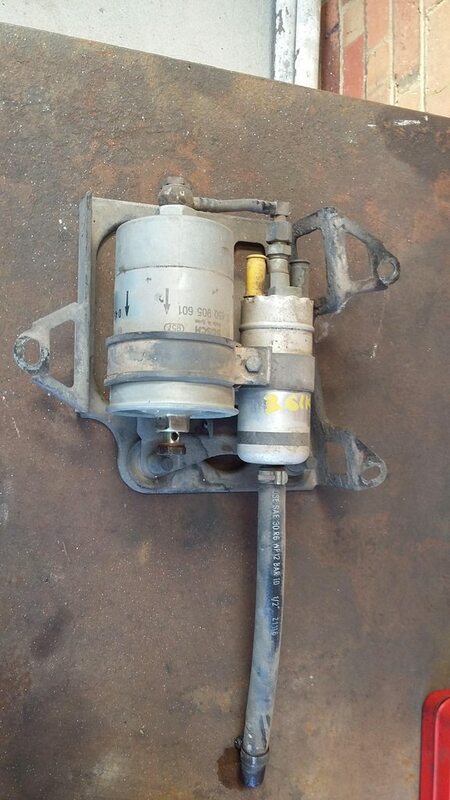 First item of business: deleting the external main fuel pump, the car will have a single high pressure pump in the tank, in place of the original twin pump system. The fitting on the filter is an M14 banjo to 1/2" barb, about $15 on Ebay. 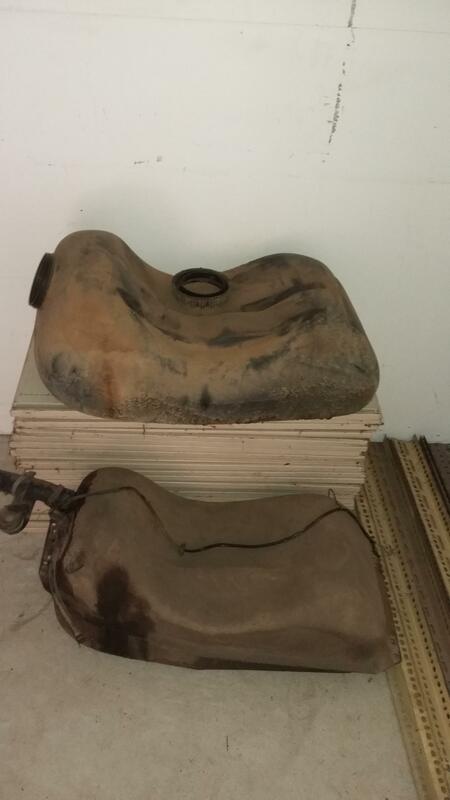 I took the plastic fuel tank from an '88 740 to replace the original steel tank. The main reason for doing this is that the opening for the sender is much bigger, and allows for different pump setups to easily fit into the tank. Another reason is that back when I fitted the 940 diff, I had to change the gauge cluster to a VDO one from an ABS 740 for the speedo to work, and had to do a very ghetto style job of adapting the Yazaki fuel gauge to it. Using this later tank and sender allows me to fit the correct fuel gauge back into the cluster. I did recently learn that 940's have bigger tanks, but I already had this 60L plastic tank in a parts car, and the car will only see weekend use so it suits my purposes. 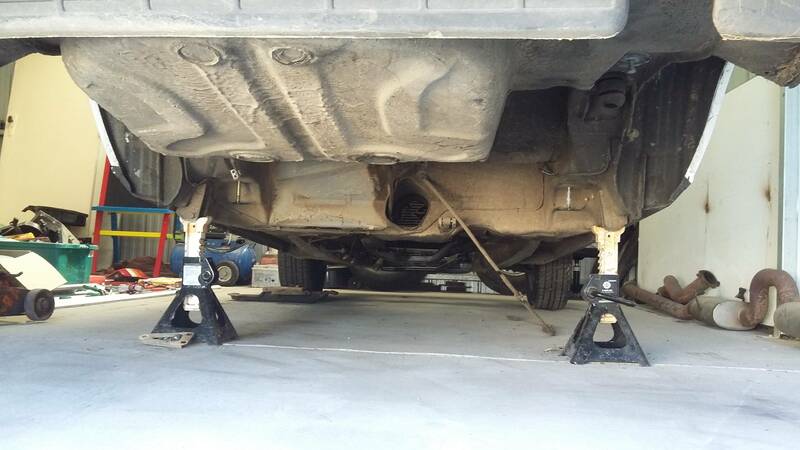 Does the car have the alloy or steel front control arms? All good Mike, the lower control arms are cast (or forged?) steel on this car, as are all of the earlier 700 series I think. I'll take a look at my '88 parts car and see what it has, the two iron pairs of arms I have on hand are both from '85's. Good to see the rear tail-light pic has the correct plastic panel that joins the two lights together. 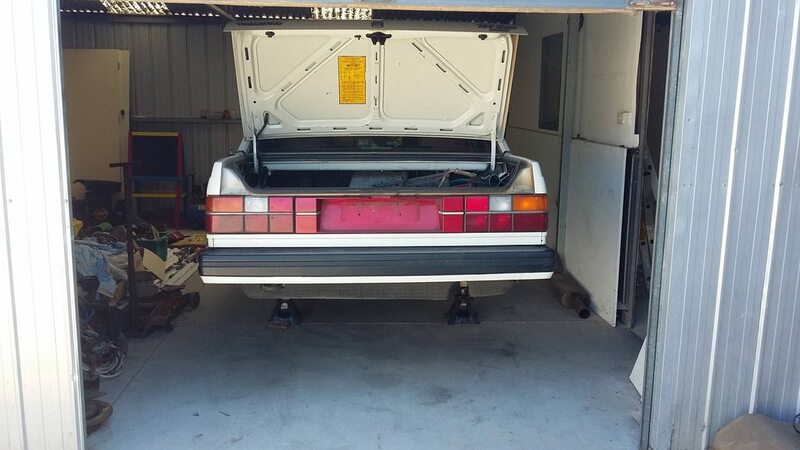 I might still have a pic of the first 760 Turbo brought to Australia with B23ET engine and full of accessories. Beaut looking machine at the time with car club owners, hope it’s still around. I'm pretty sure the piece between the tail lights wasn't standard fitment on 760T's, I've seen a number of them without it. I'd say it was an option, as it was on other 700 series cars, but it was often opted for on 760T's, mine was on the car when I got it, and seems to have 30+ years of dirt behind it! I have seen a road test article from when they first appeared in '84, from memory the car in it was silver. 760T Your right must have been an option. 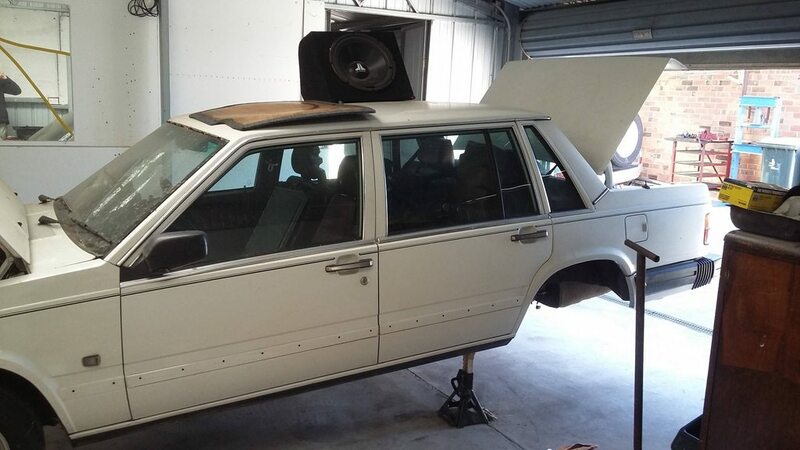 Best option ever released by Volvo for general body enhancement. Only seen one 240 with the plastic joiner, but could have been swapped in.